Fruit tree orchards are now becoming part of some modern communities. This page looks at community fruit tree orchards and how they are being managed for the benefit of all. There are some examples from the UK and a look at community supported farms in the USA. If you don't have room for your own private orchard a community orchard might be a valuable alternative. There is now a movement for community orchards and it is going from strength to strength. Even if you do already have your own, it's good to be a bit involved with community initiatives, too. You can share skills with others, both teaching and learning some. You may even find there is one near you, right now. You may find that you can learn about fruit tree care and fruit tree planting in a friendly neighbourhood orchard or community garden. Read on for more on the different types of community fruit tree orchards which are emerging and for details of how you can get involved. Community orchards have come into being partly because people feel a sense of loss. Many of the excellent old varieties of fruit are no longer available in the shops. Commercial orchards have declined by over 50% in the last 25 years, so local fruit is far less available to us now than it was to our parents' generation. The insipid choices of fruit available in many supermarkets are often flown in from across the world and choice is limited to a handful of reliable varieties. Meanwhile, there is a lack of restful and beautiful urban spaces in many towns and cities. An orchard is one of the most restful and inspiring places to pass some time - unless you are up a ladder picking fruit, of course! Most European community gardens and orchards provide a shared space which can be enjoyed by community groups and individuals. Many host "Apple Days" and wildlife events for children. They also provide a space for schools to do outside activities which link in to the curriculum. How do community orchards work? There are lots of different ways in which community orchards come about. Here are just a few. Sometimes a piece of waste ground or a neglected area of urban landscape is taken and a community garden is planned. An orchard will often be part of the community garden. Some community orchards are developed of part of a park or other public amenity area. There is one, described below, which is based on an allotment space. Some councils are now working to restore old orchards. Here in Suffolk there are schemes in a few public parks to restore historic orchards. Often valuable old varieties are revealed which are well suited to local conditions. Usually, these kind of initiatives rely on a certain amount of public involvement in addition to the regional authorities' input. There are also new initiatives from the National Trust and some of the Wildlife Groups have orchards where skills are taught and apple varieties are preserved. For example at Cotehele in Cornwall, UK, the National Trust have created a "mother orchard" which consists of 270 trees with 120 traditional varieties from Cornwall and Devon. 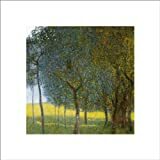 The main purpose is to grow the trees to maturity and use them to re-introduce rare varieties to orchards and gardens - thus preserving them for generations to come. In the UK there are grants available from the Big Lottery Fund to help launch and sustain community orchards. There may be other local grants available, too. Over the other side of the pond in the US and Canada, community orchards appear to have a rather different meaning. There is a groundswell of support for local fruit orchards which are providing fruit and fruit products such as cider to the local community. There is some community involvement in that some farms run short courses on apple growing and the like. I haven't yet found any community orchards such as these British ones described below. There is a movement called Community Supported Agriculture in the US which may have come from the biodynamic gardening methods of Rudolf Steiner. It has been going and growing for a couple of decades and the impetus is to provide support from the local community for horticultural farms and fruit growers. There are around 1,200 CSA farms in the USA and a few others scattered around the world. The US founder of the movement was Robin Van En and there is a centre dedicated to her legacy at Wilson College in Pennsylvania. CSA farms receive some financial input from the local community in return for a share of the harvests. A similar scheme is now being promoted in Britain by the Soil Association. There's now one in my home town, started by an independent local low-carbon farmer and the local Transition Town group. It is working well so far (2010 - 2013). 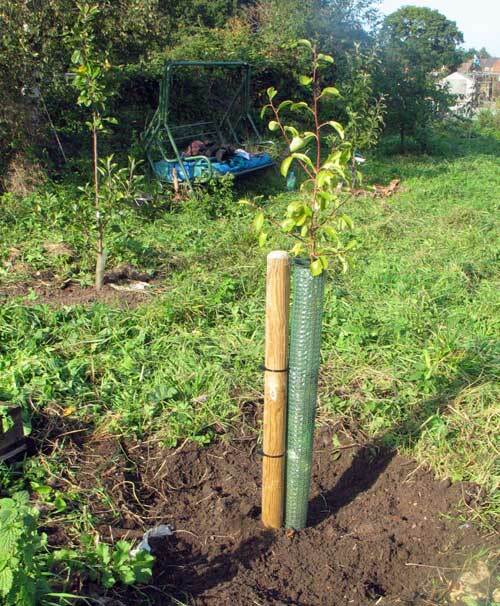 You can read about this and other community orchards on this page. Scrumping - the respectable kind! 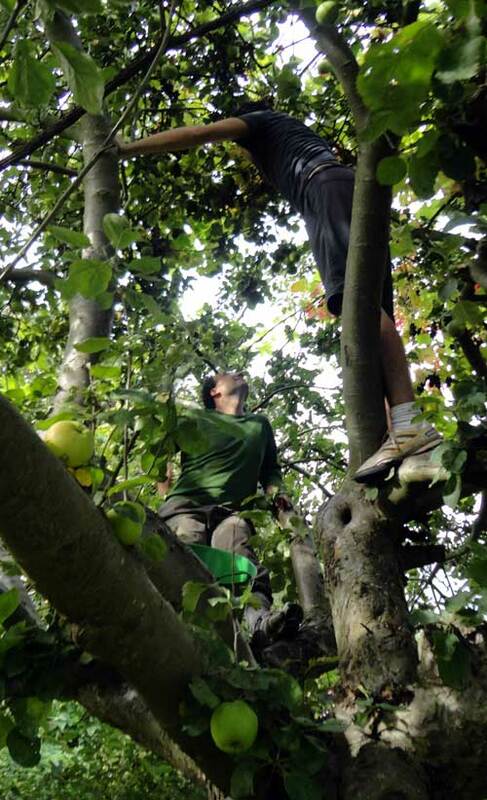 Other community initiatives include group "scrumping" for fallen fruit. Now scrumping in its original meaning is basically theft. Impoverished children and others would raid local orchards to steal fruit. Even in Roman Britain there were private orchards, protected by enclosures. But there is a modern variant of scrumping which is more like using public amenities for public or private benefit. Many public parks and gardens and other open spaces have some fruit trees. Some of these can be a valuable source of fruit, even though there is sometimes little care or pruning being carried out. There is a group in Leeds, UK which scrumps such fruit on behalf of people in the community who may find it difficult to get adequate amounts of fresh fruit. The Hackney Growing Spaces initiative described below is such a scheme, too. They also protect and manage the fruit trees for the benefit of all. Fruit tree growing is also becoming an important part of some such schemes. Community orchards are nothing new. In Germany a special kind of orchard known as a Streuobstwiese (a meadow orchard) provided a suitable habitat for many species as well as providing grazing for livestock and fruit crops. In the 1960s Robert Hart created a forest garden for himself and his learning disabled brother. It was the first known western prototype of a new approach to gardening. It used principles of permaculture and companion planting to make a productive forest garden which was both low maintenance and highly productive. Since his death in 2000 it has sadly fallen into disuse but I believe there are moves to care for it and keep the dream alive. His idea of three dimensional gardening is finding followers around the world. If you are interested in helping create a community fruit tree orchard you cannot do better than take a look at the Common Ground website for UK opportunities. In the US there is an excellent website which promotes orchard growing: Holistic Orchardist Network.